His parents have now come back for Baby N 2 ! We have been married for 7 years now. We tried to get pregnant after the first year of marriage with no success. We then tried IVF clinics in Canada the first Doctor we went to we did IVF it was a positive result only to find out that it was a chemical pregnancy. We took that very hard because we wanted to have a baby and we wanted to start our family right away. This Doctor told us that because of age that we had to use a donor’s egg we despised that thought we did not accept it so we decided to go to another Doctor. We were with this Doctor for 2 years trying all kinds of treatment, firstly , IUIs with no success, we then decided to try IVF again but every cycle my eggs got lesser and lesser and not developing the way they should for a successful IVF procedure so I we would be detour to IUI, this went on for couple of months. We were very frustrated at this point, and eventually the 2nd Doctor told us what the first Doctor suggested (i.e. donor egg), we were even more frustrated and wanted to give up. We struggled with this idea for over a year, the donor egg option wasn’t something that we could accept easily, it was very tough for us since we saw ourselves as great parents and just wanted the opportunity to bring a child into the world and raise him/her in a loving family environment. My husband and I talked about it at length many times and we finally resigned to the fact that if we are going to be the great parents we can be, then we really had no other choice at this point but to go the donor egg route. Life is not perfect but we have to take the bitter with the sweet, and be grateful for what’s possible through medicine. So we decided to start the process we went back to see our Doctor in Canada who gave us a few suggestions how to find a donor in Canada and USA. This was a nightmare, we had one hit in Canada that didn’t work out, however the US had many agencies that does this but they are asking for around thirty thousand dollars, it is ridiculous. We did a search on the internet and came up with Dr Malpani’s web site we were amazed with all the details the site provided. We contacted Dr Malpani immediately, he was very responsive and patient with us. We explained our situation to him and he was confident that he can find a suitable donor for us. After a few weeks of communicating and finding out more about the clinic and service he offers, we told him to go ahead and find a donor for us. He was able to find two suitable matches, meeting our medical and personal requirements, in short time. We selected his first choice and began making plans to fly out to see Dr Malpani in Mumbai, India. Initially we were very nervous however that soon subsided when we were in his office and saw the many couples from all over the world that were in the same ‘shoes’ as us. It made us realize that there are people in the world with the same struggles as us and that they understood what we were going through and how we felt. We then knew that we were in the right place. I started taking the injections/medications from back in Canada so when I got there I would be ready for action. When we got there Dr Malpani, Dr Anjali and their staff were very cooperative and understanding and they gave us the reassurance that they are there to work towards our success. The whole process was explained to us and my treatment took place comfortably at their clinic. The donor eggs and my husbands sperm were being placed together in the dish to form embryos it was a very exciting time for us, I felt like it was mine already. Everything went very well and it was time to do the transfer. Dr Malpani and his staff were great, they kept us very calm they were very helpful and answered all our questions giving us hope. We came back to Canada 3 days after my transfer as suggested by the Doctor. We did my pregnancy test after 15 days and by God’s grace we got a positive result !! FINALLY !! We were overwhelmed and very grateful to Dr. Malpani. We are constantly in touch with Dr Malpani and keep him updated about every progress in my pregnancy. He has been there to give his advice always. My pregnancy is going absolutely fine, we are just waiting to hold our baby in our arms. We are very thankful to God and Dr Malpani for giving us the biggest joy of our life! Patientology is the study of patients - and this is a core skill which all doctors need to learn, even though there is no textbook or syllabus for this ! One way all doctors can become better patientologists is by teaching their patients how to become better patients ! Good patients make for good doctors - and it's possible to provide patients with a toolbox of skills which they can learn to help themselves. Initially, e-patients stood for patients who used email and the web. Today, the epatient has become much more powerful ! Epatients are engaged - with their doctor; with their health; and with their healthcare system. They do not just read content - they create it as well . "User generated content" is very powerful and moving , because it provides a first hand view straight from the horse's mouth ! They have blogs and post on forums and some of them can be very prolific ! They are empowered ; knowledgeable - and articulate. They have an opinion and are happy to express it ! They are experts . They realise that they are the experts on their own illness - and are happy to share their expertise with others. They are equipped- they understand how to use the internet to help themselves and to help others as well. They will often lead and participate in online support groups; and are able to discuss technical medical matters intelligently with their doctors. They do not underestimate their competence and intelligence and understand that they have the most at stake when it comes to matters relating to their health ! They are enabled. They have access to technology and are happy to use this intelligently. These e-patients are Exceptional patients - and these are the kind of patients who can heal a sick healthcare system ! They are the icons of a new kind of medicine, called Participatory Medicine ! Good doctors appreciate and treasure these e-patients - and form partnerships with them, because they realise that they can learn a lot from each other ! Because doctors spend so many years mastering the technical minutiae of their speciality, they sometimes forget how to communicate with their patients. Rather than think of themselves as being endocrinologists or diabetologists or radiologists or cardiologists, I wish all doctors would think of themselves as being patientologists first ! Most doctors stay an arm's length away from politics. Like most intellectuals, we feel politics is a "dirty business' - something we are far too busy or important to waste time over. Sadly, most doctors don't even bother to vote because they feel it's a waste of their time - after all, aren't all politicians crooked anyway, so what difference does it make which crook is in power ? Most doctors are quite happy to criticise and complain about our leaders - but then, in a democracy , don't we all get what we deserve ? Doctors are supposed to be enlightened and intelligent citizens. We are independent thinkers; have a mind of our own - and it's hard to fool us. However, we waste a lot of time in petty internal medical politics ( such as squabbling over who's going to become the President of the Medical Society; or the next Head of Department). Even worse, when we need a "favour", we are quite happy to wait for hours on end outside the politician's office ! Why don't doctors participate more actively in politics ? After all, aren't we hard working and smart enough to become good leaders ? It's good to see that times are changing and that doctors are more willing to assert themselves. Doctors are now doing an MBA and becoming leaders in hospital hierarchies; while others are entering the IAS to improve civil administration. However, it's hard work to become a leader of people ; and most doctors have devoted so much of their life to pursuing professional excellence, that they rarely have the energy to enter mainstream politics. This is a shame. We have some excellent role models we can emulate - and Dr B C Roy and Dr Jivraj Mehta were shining examples of what Indian doctors can do when they decide to enter public service. Health is an area which affects all of us - and as doctors, we have a responsibility and duty to make sure India remains a nation of healthy citizens ! We need to take a more proactive role in improving public health services. If we do not do this, not only are we failing in our duty as good citizens, we are also allowing ourselves to become easy targets for critics who paint doctors as being greedy and money-hungry . We need to develop political clout so we can stand up for ourselves ! Do busy doctors have the time to do this ? I think doctors underestimate their sphere of influence. Patients respect and trust their doctor - and doctors can easily start to play a more active role by influencing our patients. We need to get our patients to speak up and speak out ! If we do not do this, we will become sidelined by powerful forces, until the entire medical professional will become debased. The image of doctors has already become tarnished - and it is our passivity which has allowed this to happen. We need to take responsibility for our own fate ! The trouble is that doctors are so busy fighting with each other, that they simply cannot unite and come together ! Individually we are clever, but collectively, we are extremely powerless. What does this say about us ? It was Dr Rudolf Virchow who said over 100 years ago that "Medicine is a social science, and politics is nothing but medicine on a large scale. Physicians are the natural attorneys of the poor, and the social problems should largely be solved by them. Medicine, as a social science, as the science of human beings, has the obligation to point out problems and to attempt their theoretical solution: the politician, the practical anthropologist, must find the means for their actual solution." Doctors need to work together with politicians - and actually become politicians, if we need to fix our sick healthcare system . If we do not do this, who will ? One thing I like about the web is that it forces doctors and hospitals to be transparent. This empowers patients with information. Patients often find it hard to find out how much medical procedures and surgery cost - and they have to doctor shop to find a hospital which they can afford. Also, many doctors are very reluctant to discuss costs - and some are very creative about their billing practises ! It's very helpful for patients to have a benchmark so they know what the "market rates" are. This way they do not suffer from "sticker shock" - or get taken for a ride by an unscrupulous doctor. It's good to see that hospitals are now publishing their charges for the various medical procedures they offer online ! HELP is the world's largest free patient education library, located in Mumbai. 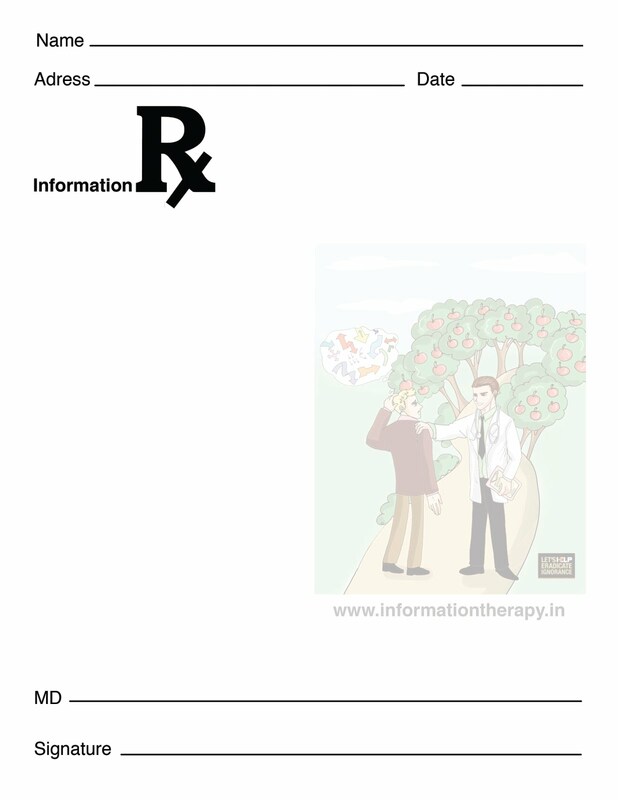 We are looking for Patient Information Officers, to help promote Information Therapy in India. You will help to empower patients with information. If you are interested in this exciting job which please email your resume to: malpani@vsnl.com ! Competition has now become a fact of life. It's becoming even more fierce, especially in large cities. Doctors are getting squeezed on all sides. Patients have lots of demands - and thanks to the internet, they are very well informed which means they have lots of questions which need to be answered . Corporate hospitals have huge advertising and marketing budgets; while insurance companies are putting caps on the amounts they are willing to pay - and to add insult to injury, often fail to pay on time. The tragedy is that there are many skilled, compassionate qualified doctors who sit in their consulting rooms and twiddle their thumbs because they do not have enough patients. When they see their colleagues with full waiting rooms , this causes them major heart burn . 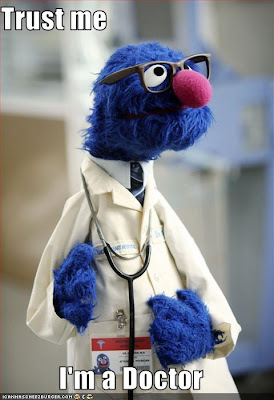 They find that fact that even though they may be far better doctors, they have far fewer patients ! Rather than complain about how unfair life it, the question you should ask yourself if - If I am so smart, then why aren't I doing better in practise ? Complaining will not help ! Some doctors believe that the doctors who are doing well only do so because they use underhand means to get their patients. While this may be true in some instances, it's definitely not true for all doctors whose practises are flourishing ! Rather than imitate bad practises, why not learn to emulate the best practises ? You might want to do a reality check - being good at your work and respected by your peers doesn’t mean that the patients you want to reach can find you. You may be the best surgeon in town. Professionally, you may be respected - and whenever doctors want surgery done for themselves or their family members, they will come to you. Your colleagues may respect you as one of the top people in your - but you may still have no patients, because your prospective patients can’t find you ! Why are you making it harder for your patients to get to you ? If you are a good doctor, isn't it your responsibility to reach out to your patients, so they can make use of your high quality services and expertise ? Being academically smart is not the same as being street smart - these are complementary skills. The good news is that if you are intelligent, you can learn how to be street smart as well ! It 's a question of IQ versus EQ - and if your IQ is good enough, you can work on improving your EQ as well ! You need to be proactive and to reach out to your patients ! Cut out the middleman ! Patients are hungry for reliable medical information from trusted doctors - and if you provide this, you'll have lots of patients in your clinic. The best way to reach out to patients is by using the internet - and I think it's every doctor's responsibility and duty to teach patients by using the web ! If putting up a website seems to be a daunting or expensive proposition, the good news is that it's now become inexpensive and simple to do so ! Check out www.websitefordoctors.in, which is run by Plus91, a company in which I am an angel investor. How can I be sure my IVF doctor is telling me the truth ? One of the major worries most IVF patients have is about the competence of their IVF doctor. While most patients select an IVF clinic based on its reputation, the sad truth is that there is not much correlation with the actual quality of the medical treatment they receive and the brand name of the clinic. 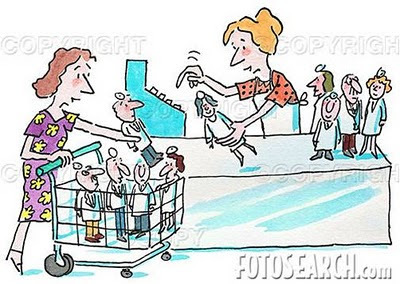 Many "big name" clinics are very impersonal and are run like assembly lines. 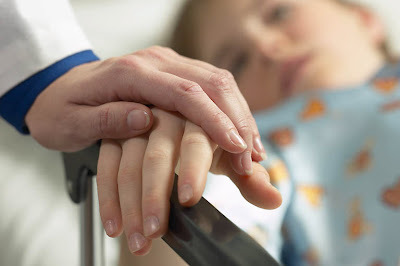 The patient rarely gets to meet the doctor and most of the care is provided either by the nurses of the assistants. Patients feel they are helpless and passively put up with poor quality care, because they do not know what else they can do. A much bigger problem is the lack of transparency and documentation . Most IVF clinics do not even bother to provide patients with a simple treatment summary ! Patients are clueless about basics, such as the number of follicles seen on the ultrasound scans; the number of eggs collected; the number of embryos formed ; and the quality of their embryos . Patients are forced to blindly trust their doctor - and those who dare to ask questions are rudely put in their place ! What's worse is that it's well known that some IVF clinics will use your eggs ( without your permission) and gift them to someone else ! Not only is this plain unethical and wrong - it also significantly reduces your chances of getting pregnant ! The answer is simple ! Ask questions - it's your body and your treatment ! You are paying a lot of money and you need the answers. Please learn to ask intelligent questions ! Do your homework, so you do not have to bother the staff with basic questions to which you can find the answers yourself by going online. However, you need to find out details about your own treatment and how it is progressing. Ask for prints of your ultrasound scans and photos of your embryos. This is basic documentation, which every clinic should routinely provide ! If they do not answer your questions , this should be a red flag - beware ! A good doctor will share information - why should they hide anything ? you need to take an intelligent interest in your treatment. Taking treatment at a world-class clinic will maximise your chances of success and give you peace of mind you did your best ! Not sure about what questions to ask ? 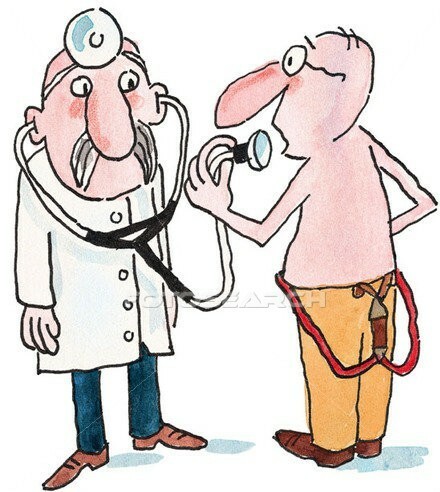 Get a free second opinion at www.drmalpani.com ! Exciting new multimedia IVF website to learn all about IVF ! The website address is www.ivfindia.com ! Patient Centered IT in medical tourism « Patient Centered IT: "Medical tourism is special in many aspects. Patients travel first to be treated. Main drivers for this behavior are quality and/or price. This makes medical tourism a real market scenario with real customers." This is a thoughtful post which helps to explains why many medical tourists are excellent role models of e-patients ! 2. we encourage patients to become e-patients - empowered, engaged experts ! I just saw a patient who was at her wit's end. She had done 4 IVF cycles at the same clinic and had failed all of them. She was angry; and was complaining bitterly about how badly the doctor at the IVF clinic had treated her. " She would make us wait for hours - and we only got a chance to talk to her at the first consultation. After this, all the care was provided by her assistants, who refused to allow us to meet Madam ! " I asked her some basic questions about her medical treatment. " I need more details about your prior IVF cycles . What were the medications which were used for superovulation ? What was the dose used ? How many follicles did you grow ? How many eggs were collected ? What was the E2 ( estradiol) level in the blood ? How many embryos were transferred ? What was the embryo quality ? Do you have photos of your embryos ? What was the endometrial thickness ? Can you please send me the printed treatment summary from your IVF clinic ? " She was completely clueless about these basics ! She had no idea about how many eggs were collected each time - or even how many embryos were transferred. All she had from the clinic were some prescription slips - but no medical details at all. I asked her why she didn't have this and she replied - " The clinic keeps all the medical records for all the patients. They do not give us copies ! The doctor does not tell us anything; and does not answer any of our questions. If we ask the staff or the assistants, they just tell us - Talk to the doctor - but the doctor is never available ! She is too busy seeing new patients ! The doctor did not give us any papers even though I asked for them many times !" She was feeling very sorry for herself that her doctor has been so unhelpful - but did not think she could have done anything about it. Her attitude was - " This is the way things are done ", so what can I do ? " I agreed with her that her doctor seemed to have provided very poor quality care ! However, while she was not responsible for her doctor's actions, she was responsible for her own - and the fact that she had not been more assertive and proactive reflected poorly on her ! I can understand her feeling helpless in the first cycle - after all, she had no way of knowing how transparent her doctor would be. But to allow the same poor quality care to continue for 4 cycles meant that she continued to allow her doctor to provide poor quality treatment. She was as responsible for her poor care as her doctor was ! As the old saying goes - " Fool me once - shame on you; fool me twice - shame on me". In fact, I would be much more critical of her than her doctor. I can understand why her doctor was not willing to talk to her - she was just behaving rationally and optimising her income by seeing more new patients, to improve her clinic turnover. However, why was the patient behaving like a passive victim ? She was paying big bucks for her treatment, and should have been more assertive and articulate ! There was no reason for her to continue going to the same doctor if she was unhappy after the first IVF cycle. There's no shortage of IVF clinics in India - and many doctors treat their patients with respect and provide a high quality service . Part of the problem is that patients do not respect themselves enough ! Infertile patients are so desperate for a baby, that they just do not use their common sense when dealing with their doctor. They want a doctor who will solve all their problems and provide them with a baby, which is why they want to be able to blindly trust their doctor. They do not dare ask too many question because they are scared this may upset the doctor and rock the boat. They are happy to toe the line and be compliant - and they just do what all the other patients in the clinic are doing, since this seems to be the accepted norm. Often, many of them do not even know that they have a right to their medical records - or that there is a better and more enlightened way of doing things. They underestimate their ability to understand and take charge of their treatment. Sadly, it's not just doctors who do this - many other professionals do so as well. I remember my experience with a Senior Counsel who is one of India's leading lawyers. When I went to him for a consultation, he refused to talk to me and spoke only to my advocate. It seemed that it was beneath his dignity to discuss my case with me ! The good news is that I found another lawyer whose approach was refreshingly different ! He dictated the brief in front of me - and this inspired confidence in me that he knew all the facts of my case and the relevant law as well ! I think patients also need to take a similar assertive approach. Not all doctors are the same - and many are proactive, respectful and thoughtful. If your doctor does not treat you with respect, then you should find another doctor. And if you are too scared or lazy to do so, then please do not complain about the care you receive ! I just met a friend who is now a senior gynecologist. He told he that he preferred not to provide his patients with information. " I just tell them what I think they need to know ! Otherwise, they ask too many questions and it takes me too much time to explain. It's much easier for me if I just go ahead and treat them - after all, I am the expert ! It's also better for my patients. With too much information, they get confused and do not know what to do ! It's best if I keep it simple - and this way, I can see more patients as well !" Most doctors got away with this paternalistic attitude for many years - but this was many years ago, , when all the medical knowledge was locked up in medical books and journals which patients could not access or understand. However, times have changed. Medical information is now freely available on the net - and a smart, determined patient can easily learn as much as he wants about his problem . The truth is that patients have always had and will always have questions about their medical treatment - it's just that some doctors are not empathetic enough to realise this. This is why they lose their patients to other doctors who take a proactive approach towards addressing their patient's queries ! 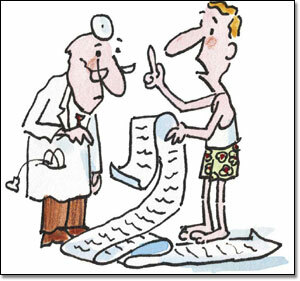 If patients do not get answers from their doctor, they will find answers from somewhere else. And if another doctor provides these, they are quite likely to go to the other doctor. When doctors do not answer their patients questions, they do both their patients and themselves a disservice. Patients are forced to search for information on their own, and they often find unreliable information from poor quality websites. This misinformation can actually make the doctor's life even harder because he then has to spend a lot of time helping the patient to get rid of their misconceptions. This is why doctors need to prescribe information - and the best way of doing this is by creating your own website and dispensing information through this ! Toolkit Part 3: Summary List of the "Toolkit Guidelines for Writing and Design"
Toolkit Part 4: Understanding and using the "Toolkit Guidelines for Writing"
Toolkit Part 5: Understanding and using the "Toolkit Guidelines for Graphic Design"
Toolkit Part 8: Will your written material be on a website? Toolkit Part 11: Understanding and using the "Toolkit Guidelines for Culturally Appropriate Translation"
PCOD ( polycystic ovarian disease) is one of the commoner causes of infertility. It's a chronic disease, which patients need to learn to manage themselves. Sadly, lots of patients with PCOD are very confused. They seem to understand very little about their own problem and I think this is partly because their doctors are very confused themselves and do not take the time and trouble to teach patients about their disease. Patients with PCOD have irregular periods ; and they know that their irregular periods also means that they will be infertile. How the irregular periods cause infertility is something they are not clear about . They also know that they have a "hormonal imbalance" - but are clueless about which hormones are not in balance. Because they miss their periods every month, many of them go to the doctor regularly so that he can prescribe medications for them to take in order to induce a period. While many know that the medicine the doctor prescribes is progesterone, they are very scared to take this for themselves on their own. For one thing, most patients are scared to self-medicate; and they are worried about the side effects of these hormones. Also, their doctors do not empower them with information because they prefer keeping their patients dependent on them ( ensuring them a regular monthly income for these repeat visits). This is not a happy state of affairs. PCOD is a chronic illness, just like diabetes is; and patients need to learn to manage this for themselves, rather than have to depend upon their doctor ! Here are some basic principles which every PCO patient needs to learn ! Firstly, you should plan to get 12 periods every year. There's no point in waiting week after week for the period to come on its own - you are just wasting time and adding to your anxiety levels. Every time you miss your period, you are hopeful that you are pregnant at last - and when the pregnancy test comes back as negative , you get depressed and disheartened again . Why break your heart every month - you need to be proactive ! Getting regular periods is good for your self-esteem and helps you to plan your life. The good news is that there's no risk or downside to doing so ! The good news is that it's quite easy to learn to self-manage your problem. Why waste time waiting for the period to come when it's so easy and safe to induce one ? Unfortunately, many patients are scared to self-medicate because of ignorance. How do you induce a period ? It's very simple - all you need to do is to take a 5-day course of a natural hormone called progesterone. This is available in many forms .One of the safest is medroxyprogesterone acetate ( MPA). This can be hard to pronounce; and fortunately, pharmaceutical companies sell this drug under many brand names which are much easier to remember ! These include: Provera; Deviry; and Regesterone. The dose is 10 mg, twice a day, for 5 days. You only need to take 10 tablets- and your period will start about 2-7 days after taking the last tablet. This is called a progesterone withdrawal bleed. By taking this, you are just mimicking nature, which means it's very safe to do this every month ! Many women are scared of hormones. They are worried that these hormones will make them fat or cause side effects . 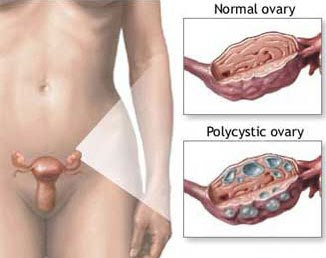 Please remember that this is a natural hormone which you are taking only because your own ovaries ( which should normally have produced this every month) are not behaving themselves and producing this important hormone . It's very similar to managing diabetes. Just like a diabetic needs to take insulin to keep his blood sugar under control ( because his pancreas does not produce the insulin it normally should have) , you need to take the progesterone every month to induce a period. The good news is that it's not an injection - and you need to take it for only 5 days every month ! Every time you miss your period, do a pregnancy test to confirm you are not pregnant. Once this is negative, take your course of MPA. Many patients are scared that if they are in fact pregnant, and they then take the medicine by mistake during pregnancy ,this will harm their baby. After all, if the tablet is being used to induce a period, won't it also induce a miscarriage ? No, this is not true. The good news is that it's perfectly safe to take MPA during pregnancy as well. In fact, many doctors routinely prescribe this during pregnancy to provide luteal phase hormonal support. Don't forget that progesterone is a natural hormone which is produced during pregnancy - and as the name suggests, it supports gestation ! If you take it inadvertently during your pregnancy, you will not harm your baby - and in fact if you do not get a withdrawal bleed after taking this course of tablets, one possibility your doctor will need to rule out is a pregnancy. ( The other is a functional ovarian cyst, and a blood test for beta HCG and an ultrasound scan will allow him to make the right diagnosis). I tell my PCOD patients to do a urine pregnancy test on the first of every month ; and when this is negative, to take the course of tablets. This helps them to remember to take the tablets every month ! Some patients get upset at the idea of having to take the tablets every month . They do not like the idea of having to take hormonal tablets every month because they are scared they will get "addicted" to these. Also, they want a cure - a treatment which will fix their problem once and for all ! Sadly, while we are very good at treating the irregular periods you get as a result of your PCOD, we cannot cure it at present. Just like a diabetic's blood sugar will remain controlled as long as he takes his insulin regularly, your periods will remain regular as long as you take the progesterone. If you stop taking it , the periods will become irregular again. The good news is that it's possible for you to regularise your cycles - and that this treatment is simple, safe,inexpensive and effective ! Remember that while this is effective for regularising your periods, it will not help you to have a baby. This is because all the progesterone does is induce a period - it does not help you to ovulate. If you want a baby, you will also need ovulation induction treatment ! Some patients believe that if they take this "course of tablets " and regularise their cycle , this will then fix the problem and allow them to get pregnant. This is not true. If you forget to take your progestins, and get a heavy period, how do you manage this heavy bleeding ? Taking a high dose of antiprostaglandins for 3-4 days ( such as ibuprofen or indomethacin 3-4 times a day) can help to reduce the amount you bleed, and its safe to take these as needed. Many young girls with irregular cycles with PCOD are told not to worry - and their doctor tells them that their cycles will become regular once they get married. This is unhelpful advise because it is not true ! The PCOD will need to be treated - and the good news is that safe and effective treatment is easily available - both for regularising the period - and for having a baby !